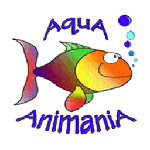 AquA AnimaniA is your #1 local source in Windsor, Essex County and Beyond, for aquarium supplies for freshwater, tropical, saltwater and reef aquariums of all shapes and sizes! We provide friendly, expert advise and tips plus carry a full line of aquariums, aquarium kits, aquarium filters, aquarium heaters, aquarium pumps, aquarium accessories, aquarium tanks! We can also special order unique items and other products from our vast network of national and international partners and suppliers. Aquarium salt is obviously essential to saltwater aquariums, but it has uses in freshwater tanks too. You also need it to hatch brine shrimp if raising for food. (Never add salt to an aquarium with plants, or scaleless fishes). We carry the top brands of aquarium salt for freshwater and saltwater tanks, cichlids, reefs and brackish habitats. Use a hydrometer to monitor salt levels, and don’t add salt when replacing evaporated water(salt doesn’t evaporate). Livebearers, some cichlids and fish from brackish habitats need a bit of salt in their water. Many aquarists find that most tropical fish tolerate and benefit from small amounts of salt (no more than 2 tbsp/5 gal), although there is some debate. Salt does inhibit nitrite uptake, so adding a little to a new aquarium can prevent nitrite poisoning before your tank fully cycles. The main application of freshwater aquarium salt is to kill parasites (make a solution – around 4 tsp salt/gallon – dissolve, dip afflicted fish for 2-3 minutes, remove immediately if distressed). Salt also replaces sodium and chloride ions that help stressed or sick fish recover quickly. (If in doubt, use stress relievers instead.) Don’t use salt with live plants unless product descriptions say otherwise, and avoid use with scaleless fishes like cordydoras. Marine salt is needed in a saltwater aquarium to simulate natural sea water, and it’s a carbonate buffer that keeps your pH high and your fishes and invertebrates healthy. Reef salt is the same as marine salt but contains trace elements like calcium which are crucial to reef health. Don’t rely on reef salt alone – always test trace levels as they are critically important and may be quickly depleted. Monitor specific gravity to keep your salt levels stable. Use aquarium water treatments when setting up your tank, changing your water, or to treat problematic water conditions. Some aquarium water treatments, like water conditioners, are essential to aquarium setup. Algicides and water clarifiers are quick fixes for dangerous/unwanted water conditions. Ammonia binders are your lifeline in the event of a catastrophic ammonia spike. Check out the sections below for more information! Aquarium water conditioners and additives like chlorine removers and stress relievers make tap water safe for use in aquariums, and should be used when preparing for tank setup or water changes. Cycle aids help you quickly establish the nitrogen cycle and avoid fatal “new tank syndrome”. Ammonia removers save your tank from ammonia emergencies. To recreate natural water conditions for your aquarium, you may also need vitamins, supplements or aquarium salt. The products below cater to every need, from freshwater fish to reefs to black water tanks. Some additives have multiple uses (aquarium water conditioners may remove chlorine, stress relievers may condition water, etc), so browse to see what products are right for your aquarium! Aquarium water clarifiers clear up water clouding due to biological blooms, chemicals or particulates. Aquarium water clarifiers are most useful for treating biological clouding, often caused by a surge in beneficial bacteria (related to sudden increases in organic waste, from overfeeding or fish death). Any time you experience cloudy water or green water, test for ammonia and increase aeration, as oxygen is quickly depleted by these nuisance organisms. If you find yourself using water clarifiers often, you may need to clean or change your filter or filter media, use a diatom filter, or add a protein skimmer. Ammonia removers bind ammonia in a non-toxic form until your biological filter can process it. Keep one around for immediate use in case of a fatal spike in ammonia, which can be caused by fish death, increased bioload, insufficient aeration or accidental death of the bacterial bed from over-use of antibiotics/over-cleaning biological media. If stressed, relocate fish to a quarantine tank until conditions stabilize, and re-establish your bacterial bed as quickly as possible. Use ammonia removers during water preparation if you see levels in your tap water. If your aquarium is healthy and well maintained, you should only need ammonia removers for emergencies. Always monitor ammonia closely. Algaecides, or algicides, are the fastest way to destroy algae and cyanobacteria (red slime/green slime) in your aquarium or pond. They are not a long term solution to pervasive algae problems. Some algae is unavoidable – control it with regular cleaning & partial water changes, good circulation, diatom filters and protein skimming. Algaecides create a large load of waste (dead algae), so regular filter cleaning and partial water changes until conditions stabilize will prevent further problems. Algae problems may be caused by phosphates or silicates; remove them with chemical filter media. Direct sunlight causes blooms, as do lights not meant for aquariums. Unless specified otherwise, avoid algicides in planted tanks, reefs, or tanks with livebearers or crustaceans. Aquarium dosing equipment is used to automatically minister the right amount of fish medications, vitamins and supplements, or other additives to your aquarium water. You can also use aquarium dosing equipment to replace evaporated water, and sometimes even for water changes. A hassle-free way to maintain your aquarium’s optimal health – just set it and forget it! Aquarium health sometimes takes a little effort. Our fish medications will arm you to fight parasitic, bacterial and fungal infections, even flesh wounds. Take steps to prevent poor aquarium health – vitamins and supplements will keep your fishes and inverts strong and hearty, stress relievers boost immunity and rapid healing by promoting slime coat growth, and dosing equipment makes treatment regimens easy to implement. Remember that routine cleaning of your aquarium, water changes after illness, and proper maintenance of equipment (especially filters) are extremely important to aquarium health. Unfortunately, aquarium fish and organisms can get sick or injured too. Aquarium medications help you nurse your them back to health. We carry the most reliable aquarium medicines for bacterial, fungal, and parasitic infections, as well as topical treatments for wounds. Aquarium stress (from overcrowding or improper water conditions) weakens fish immunity, slows healing, and is a main cause of illness, so make sure you are also managing stress in your aquarium. We strongly recommend medicating sick fish in a quarantine tank, while performing water changes and thorough cleaning of your main tank. If you have to treat your main tank, stop carbon filtration first, then resume afterwards to remove the medicines from your water. Aquarium bacterial medications are medicines or antibiotics that treat bacterial infections in your fish. These include hemorrhagic septicemia, columnaris (called mouth rot or mouth fungus – it resembles a fungus, but is coarser and grey), dropsy, etc. Over-use of antibiotics can destroy beneficial bacteria and cause spikes in toxic ammonia, so we recommend quarantine tanks whenever possible, and avoiding use of antibiotics as all-purpose treatments. Isolate afflicted fish or organisms in a quarantine tank as soon as symptoms are noted and medicate immediately. As with all fish diseases, the best prevention is regularly cleaning your aquarium, maintaining proper water conditions and avoiding fish stress. Most fungal diseases have a white, cottony appearance and are easily identified. Aquarium fungal medications should be kept handy as fungi are naturally present in most aquariums. Fish are at risk for fungal infection when they are recovering from illness or wounds, when there are other sick fish around, if fish are stressed, and when your aquarium isn’t cleaned properly or enough(especially when there is decomposing matter, like another dead fish). Use aquarium fungal medications at the first sign of fungal infection and quarantine whenever possible. Aquarium parasitic medications treat parasitic infection, the most common of which is ich (white spot disease), a protozoa that afflicts marine and freshwater fish. Common parasites include lice, hole in head, velvet, flukes, worms and black spot. You may observe irritated behavior from your fishes (e.g. rubbing against things) before visible signs of infection. A little aquarium salt is an effective treatment against some freshwater parasites, especially Costia. Do not use copper treatments in reef tanks, with invertebrates or live plants. Monitor copper levels to make sure they don’t get too high, and remove it with carbon after treatment. Aquarium multi-purpose medications treat some combination of bacterial, fungal and parasitic infection or external wounds caused by fighting and other damage. Keep aquarium multi-purpose medications on-hand to use in a pinch, or when symptoms seem ambiguous to you. You can’t avoid harmful bacteria, fungi or parasites – so prevent your fish from becoming ill by cleaning your aquarium regularly, maintaining proper water conditions and avoiding fish stress. Conditioning your water only makes it non-toxic; it does not make natural water conditions. Aquarium vitamins and supplements are crucial in a closed environment, where the plentiful nutrients and trace elements of rivers, lakes and oceans have to be added (and replaced, as they are removed from your tank via filters, protein skimmers and normal biological processes). Fortunately, at AquA AnimaniA we understand the importance of aquarium vitamins and supplements to your freshwater, saltwater, reef or planted aquarium and we have all the vitamins, trace elements, buffers and carbonates your organisms need to flourish in captivity. Not only is fresh water a little salty, the world’s rivers and lakes collect all sorts of things tapwater doesn’t. Freshwater vitamins and supplements are vital to your fishes’ normal biological functions. Vitamins prevent health problems, encourage growth and vivid colors; trace elements and buffers recreate natural water conditions to prevent stress or death. The ocean is a complex environment whose conditions must be created in an aquarium with salt, live sand (or appropriate substrates), and saltwater vitamins and supplements. Marine fish are usually caught live, and experience considerable stress when introduced to aquariums, so it is crucial to recreate natural conditions closely, and monitor them to prevent fluctuations. Vitamins bolster immunity and health and keep fish active and colorful, while trace elements and buffers create and maintain natural water conditions. Saltwater vitamins and supplements are the difference between a thriving marine aquarium, and major heartache and loss. Marine reefs are a unique environment that support an incredible proliferation of life, and it takes a little extra to recreate this in an aquarium. Along with the right equipment, propagation tools, and lighting, marine reef vitamins and supplements are absolutely critical to your success. Corals and invertebrates need higher levels of some trace elements than other marine creatures in order to grow and display their brilliant colors. They need vitamins in addition to their food, and proper pH and hardness supplied by reef buffers. Browse our marine reef vitamins & supplements by type, and scroll down to see popular items. Aquarium fish stress relievers usually remove chlorine and other chemicals/metals in tapwater, but they differ from many conditioners by focusing on the healthy growth of a “slime coat”, the first defense in your fishes’ immune system. Stress relievers also repair damage to the slime coat caused by handling or external wounds. You will need some combination of aquarium testing equipment to make sure conditions in your aquarium stay healthy and stable. Every aquarium needs a thermometer. Saltwater aquariums need a hydrometer or refractometer. And different aquariums need different combinations of test kits to monitor alkalinity, naturally occurring toxins (like ammonia), and vital elements (like oxygen). Make sure you have the appropriate testing equipment for your aquarium. Conditions in aquarium water naturally change over time, so use aquarium test kits regularly to make sure they are healthy and stable. Master test kits include essential tests for your aquarium type – pH, hardness, ammonia, nitrite, nitrate and oxygen should be monitored in all aquariums. You may need the other test kits below during water preparation, tank setup, if medicating or experiencing excessive algae, or when keeping a planted or reef aquarium. We also carry electronic monitors to test pH, ORP and salinity. Aquarium thermometers are an inexpensive necessity – always use one and avoid major problems. Indoor temperatures fluctuate by time of day and season – even when controlled by the thermostats on your central air, aquarium chiller or aquarium heater, something can always go wrong and you need to know immediately. Aquarium thermometers are hardy, reliable devices you can entrust with the safety of your aquarium. Aquarium monitoring devices or probes for specialized use. Grounding probes allow electrical current to safely escape your aquarium water in the event of high voltage equipment – particularly in saltwater aquariums which conduct electricity better than freshwater. Flow meters can be used to measure the flow rate of your pressurized pumps & filters and detect drops due to clogging.